Is Air Force One noted for its delicious lasagna? Is lasagna the Human Stain’s idea of fancy international cuisine? Who the eff is going to be impressed by a plate of lasagna? 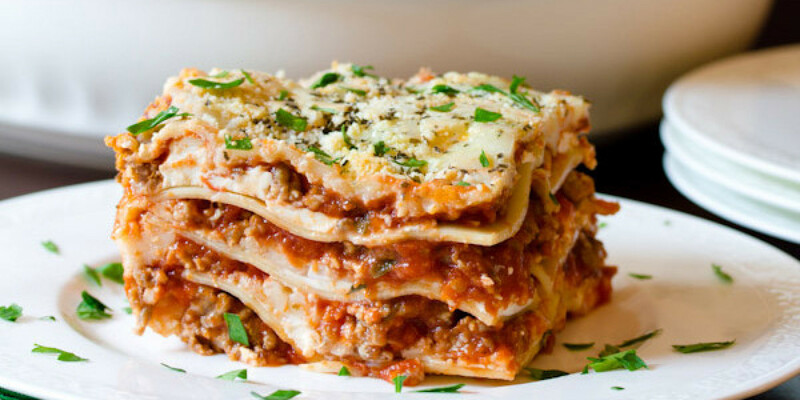 Lasagna is one of those foods like pumpkin pie: the difference between the best possible version of this dish and the worst is pretty marginal. It’s hard to mess up, but even the best possible version isn’t that great, so why bother? This account of the failure of the American Health Care Act of 2017 reveals in all its obvious glory what the Human Stain doesn’t understand about government and how it’s entirely different from “business.” He treated these Republicans as through they were investors rather than congressmen and women who care about one thing and one thing only: reelection, when they’re accountable to their voters. Again and again, representatives said they enjoyed his hospitality at the White House bowling alley and on Air Force One, but that this charm offensive did nothing to persuade them to vote for the AHCA to repeal the Affordable Care Act of 2010. Nothing, because their phones were ringing with constituents 1,000:1 telling them not to support the bill. The Human Stain is not only corrupt and indecent. He’s the $hittiest lobbyist in the world if he thinks “complete with lasagna” is the way to close. ← “Yes, morale has never been higher since we eliminated hope!” Hello, and keep away from President Lemongrab. In an odd coincidence, #2 and I just had a conversation about lasagna and whether or not doing it her way (20% of the effort of my DH’s way) got to 80% of the yumminess. DH and I are eager to find out. I actually had lasagna tonight. I like to go heavy on meat, light on cheese, and over-bake it to the point where the pasta is almost chewy, but it wouldn’t have changed my vote on anything. (You would NEED health care with that approach). Obama was always threatening to keep Air Force One when he left office, and he really should have. No one would want to ride, much less eat, on that other damn plane. He’s really a very simple creature. He likes meatloaf and lasagna, “women who look like women,” and lots of shiny gold things. He’s a misplaced middle manager who should have stayed in his tidy white suburb. Its pretty hard to argue with your “marginal tastiness” thesis about pumpkin pie and lasagna. I haven’t had lasagna in years. Why would you have lasagna when you could have pasta carbonara? or squash ravioli in sage butter sauce? I’ve never liked pumpkin pie and I have been chastised by my family for this. Pecan pie if you must for Thanksgiving. Otherwise you can have my Tarte Tatin when you pry it out of my cold dead hand. Well. My lasagna is effing awesome. But any lasagna served on a plane, even Airforce One, is going to be premade then reheated. Plus, the pressure and low humidity screw with your tastebuds. So pffft. All of a sudden, I am very hungry. Just stay away from that Russian dressing, everyone!